April is the season of cherry blossoms. Japanese people really love sakura! In this season, ‘hanami’ (literally means flower viewing) parties beneath sakura trees are held throughout Japan. They are almost like Japan’s national events (^^). Even people living overseas also have this sakura-loving spirit. Today, I would like to introduce the place in Paris where Japanese people living in France can gather and enjoy sakura. According to the Japanese embassy, there are about 27,000 Japanese people in France, and approximately 10,000 of them live in Paris. The most popular location for ‘hanami’ among these expatriates is a large park called Sceaux in Hauts-de-Seine. This park features an area where lots of yae-zakura (double-petaled cherry blossoms) trees have been planted. Every weekend during the season of blooms, Japanese people from all over the city of Paris gather under those sakura trees. They spread blankets spread on the grass, relax with bento and sake, and chat in Japanese language. It is a scene straight from Japan. 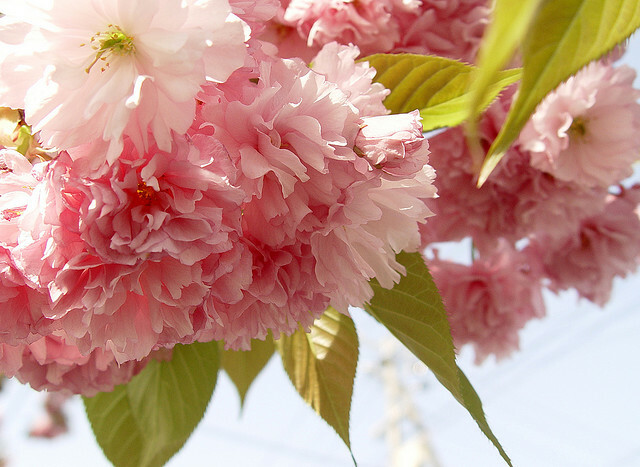 Beautifully blooming sakura provide these Japanese people with a lovely reminder of their home country.